Fourteen-year-old IM Ruifeng Li is currently the highest rated under-14 year old in the USA and is also ranked 4th in the world for the under the age of 16. Ruifeng returns this year for his second appearance in the U.S. Junior Closed Championship. Ruifeng started exploring chess when he was 5 years old in Michigan. He won the Arkansas State Championship in 2011 at the age of 8. Later the same year he was the silver medalist in the World Youth Chess Championships under-10 section. His early success landed him a spot in the Young Stars program in 2012—an elite youth training program designed to maximize the potential of rising chess prodigies in the U.S., coached by Garry Kasparov. A few months later Li earned the NM title. His FIDE rating climbed over 200 points from 2013 to middle of 2014. He has been rapidly improving, gaining another 150 points in the last year and recently crossing 2600 USCF. He received his IM title last year and is on the verge of earning the GM title. 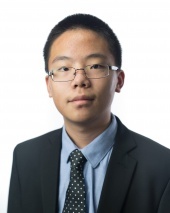 Ruifeng scored an undefeated 7-2 at the 10th Annual Philadelphia Open which was held in March of 2016, winning first place, and also obtaining his first GM norm in this tournament. Ruifeng’s best results include several draws during major chess tournaments against world class players such as Fabiano Caruana, Gata Kamsky, Luke McShane, and Alexey Dreev. A strong self-motivation and independent working ability has helped him to achieve large successes both in chess and academics, confirming that chess really helps education for kids. Ruifeng is honored to represent his home state of Texas, appreciative of all the people who have ever helped him, and he also looks forward to promoting American Chess in the future.